In setting its budget for 2017, Newfoundland and Labrador needs to correct a public finance crisis, ushered in by years of high spending and big drops in oil-based revenues. It is a critical time for the province’s future, making it crucial that government take wise decisions in the next few months. During this process, there are three factors that the Ball government should consider from recent experience. First, there is little room in government’s plan for any changes in its assumptions, as many of these assumptions are beyond its control. The current plan is based on holding down expenses as revenues rise, mostly from oil. The result is that the government operates within a very small box. Its walls are the warnings from the province’s creditors, demands from public sector unions and its supporters to spend, and cries from the business community for government to reduce spending. Further limiting government options is the unspoken, but widely held realization that some regions of the province depend heavily on government spending — a situation that won’t change quickly. 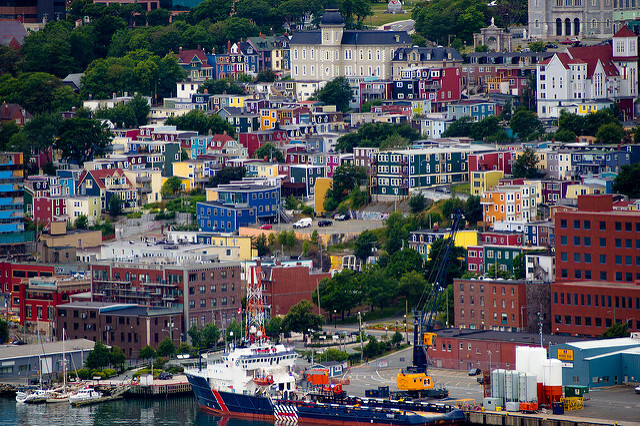 Take, as a good example, a recently announced plan to move 30 jobs in lands management from St. John’s to Corner Brook. Ostensibly about efficiency and development, the move was similar to a program in the late-1990s that put relatively high-paying government jobs in regions experiencing economic difficulties. This is the kind of decision that government takes in the interest of supporting economically depressed areas. Unfortunately, these moves don’t contribute to a leaner and more affordable government. Nor do they help to address the province’s fiscal woes. This situation should serve as a lesson about the dangers of dependence. Heavy reliance on government spending by so many people makes righting the public finance ship politically difficult. But unless the government manages to do so, this problem will hold back the economy and affect everyone in the process. Second, pressures come from many quarters, but those that count most are from bond raters and lenders. There isn’t an infinite supply of money in the credit markets for the province. As Finance Minister Cathy Bennett once said, Newfoundland and Labrador’s creditors might just say “no” when the province calls wanting more money. This is an exaggeration, but not by much. As with household or business credit, evidence of fiscal judgment and discipline affects a government’s capacity to borrow. A loss in creditor confidence will make borrowing more difficult. This confidence makes all the difference for a jurisdiction in Newfoundland and Labrador’s position. The financial problem facing government is so large that it will need to borrow enormous amounts over the next five years, no matter what. It is a practical reality that St. John’s needs to borrow some $3 billion in 2017 alone to cover the costs of the deficit and Muskrat Falls. Government needs to reduce spending, but deep reductions made quickly would cause severe damage. The government cannot make everyone happy but it especially cannot afford to distress those who lend it money. Third, public confidence matters. The tax increases in last year’s budget slowed the economy even more than expected because of the foreboding that came with it. Uncertainty was rampant as the government changed its plan in the face of widespread public criticism. People who are worried about the future will invest less, whether it is in a new washing machine or a new business. This means the government is in a delicate position, sensitive to the slightest jostling of public opinion or oil prices. That sensitivity is why people are looking with trepidation to the budget due in the next few weeks. Government must address the intense limitations on budget options, a potential loss of creditor confidence and the climate of doom surrounding the present circumstances. For the sake of recovering our fiscal situation, it is imperative that government strike the right balance.